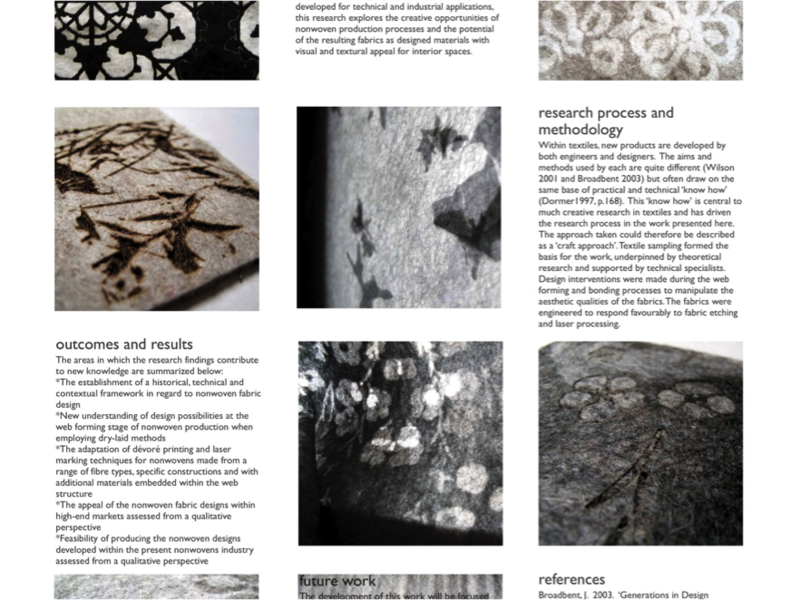 My PhD study Designing Nonwovens: Industrial and Craft Perspectives was published in 2007. 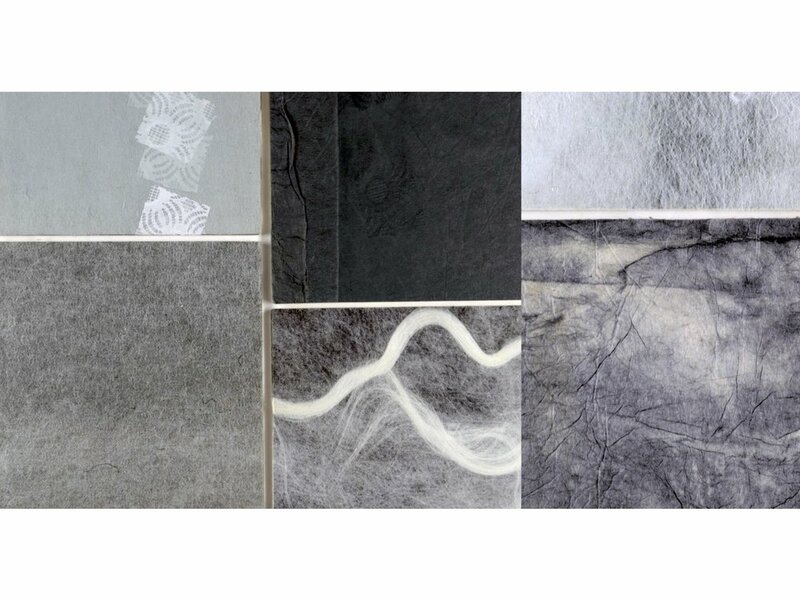 The work aimed to identify and explore the under-developed opportunities to design nonwoven materials from an aesthetic starting point, using a specific range of production processes. A practice-led approach was employed resulting in the development of nonwoven fabric collections suitable for high-end markets. The thesis can be found at the Loughborough University Institutional Repository. This work informs my current research and has provided the basis for several publications that look at the application of nonwovens in different design contexts.